This farmhouse coffee bar plus DOVE® Caramel Snickerdoodle Cookies makes for the perfect pairing during holiday entertaining. *This post has been sponsored by Mars Wrigley Confectionery. All thoughts and opinions are my own. I have been wanting a coffee bar for quite some time now. We love drinking coffee and we drink it daily. We also love serving it when we entertain guests. 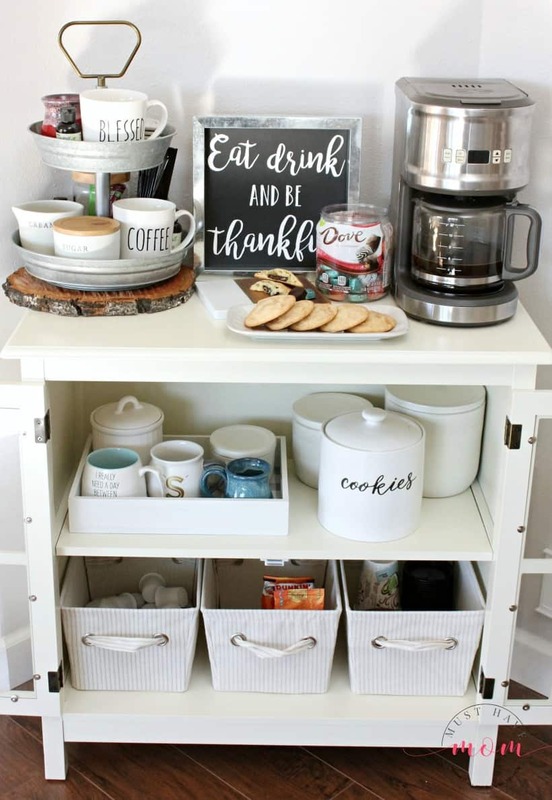 That means with the holidays coming up, there was no better time to put together a coffee bar than now! Now that I have one, I won’t go without one again! It’s so fun having all the supplies necessary for a great cup of coffee and dessert all together in one place. It makes entertaining easy, too, because it is already assembled and ready when guests stop by. I’ll show you how to make your own killer coffee bar and make sure it’s stocked for holiday guests. 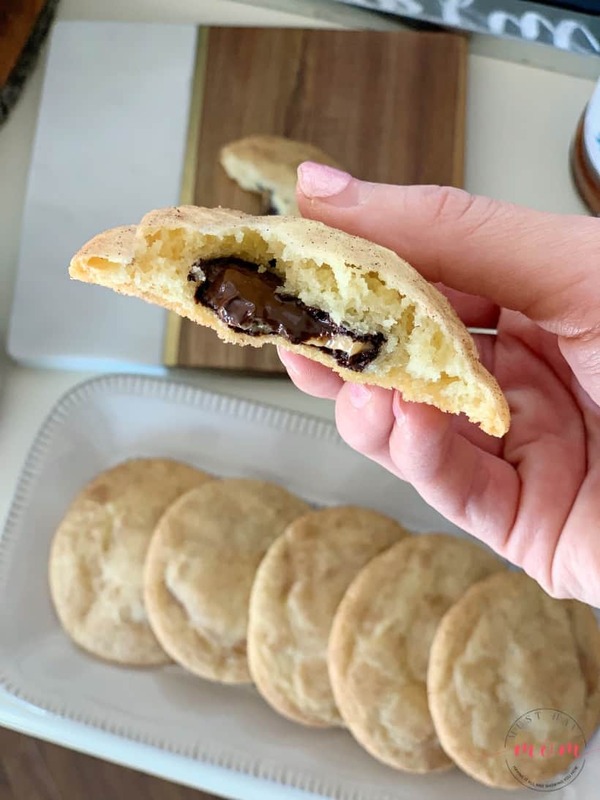 Plus, don’t miss my out-of-this-world recipe for snickerdoodle cookies stuffed with DOVE® dark chocolate and sea salt caramel. They are to die for and the perfect pairing for your cup of joe. 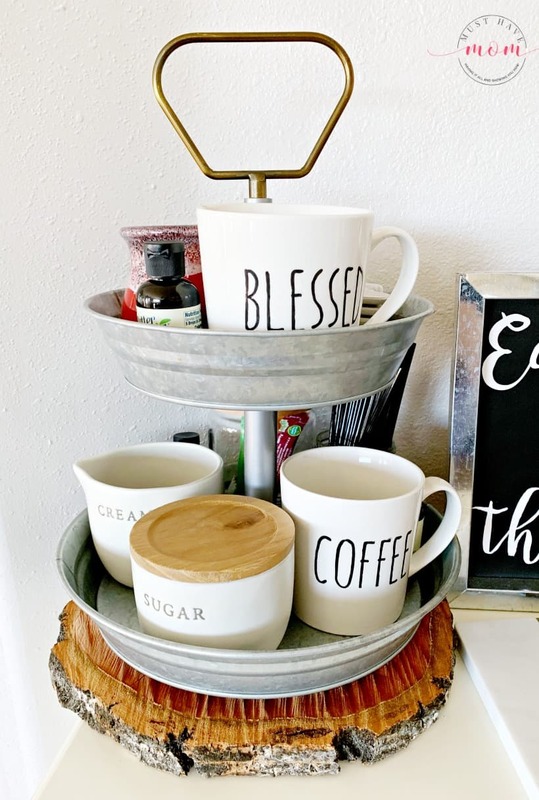 Putting together a farmhouse style coffee bar or coffee station is so fun and easy. I really enjoyed making mine! You’ll need a simple cabinet or hutch to serve as your coffee bar and some basic necessities to outfit it. You’ll definitely need your favorite coffee maker to begin with. 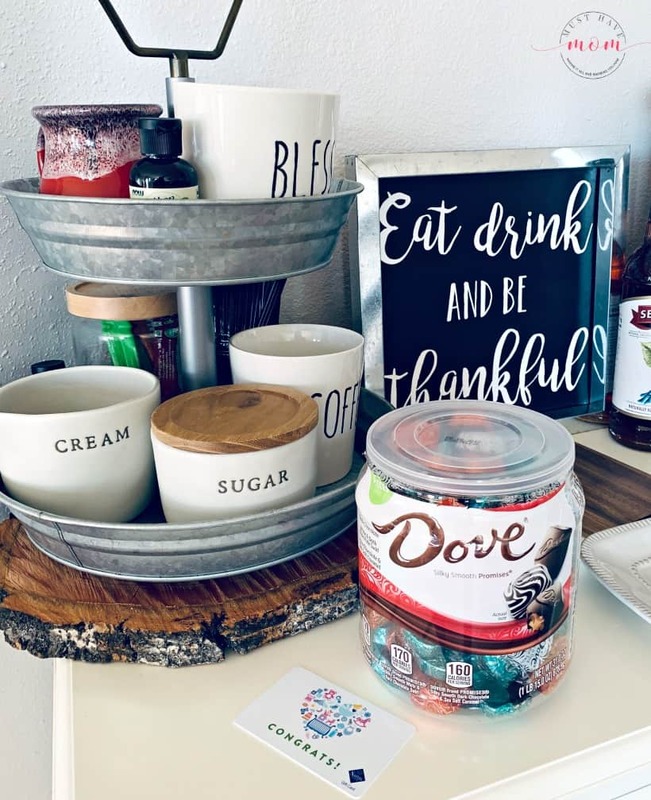 Then, add in some other elements like pretty coffee cups, sugar and creamer dishes, flavored syrups and sweeteners to add to the coffee, stir sticks, a serving tray, coffee and some sweet treats like the DOVE® Chocolate Pantry Jar available at Sam’s Club. 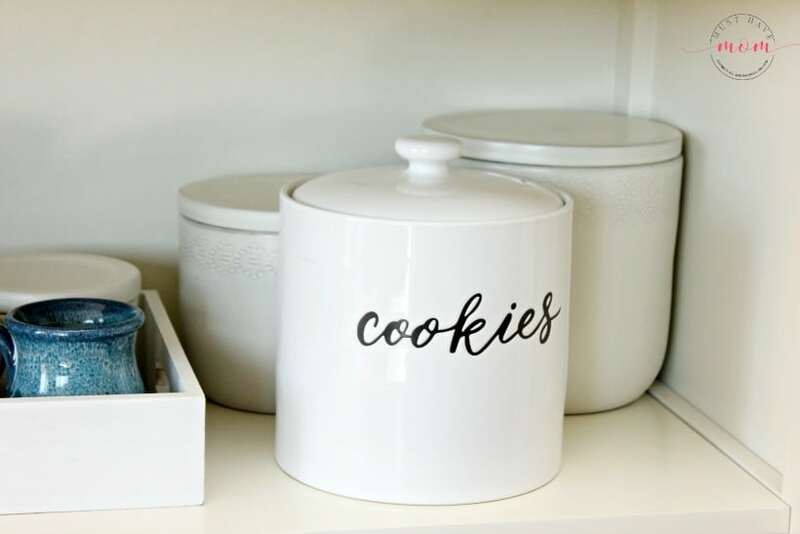 It’s the perfect size jar to share treats with your guests AND to bake these amazing snickerdoodle cookies! Find it in the candy aisle or at Sam’s Club online. I love using a tiered tray to organize all of these elements, and it takes up very little space for the amount of storage it provides. Choose a galvanized metal tray to add interest to your coffee bar. I placed mine on top of a wood tray to add dimension. 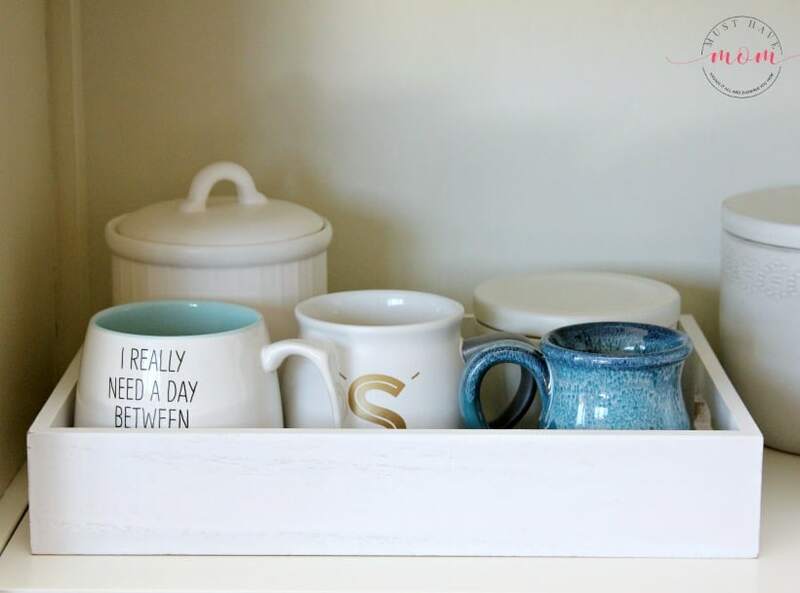 Inside your hutch, organize your coffee bar supplies with pretty baskets, trays and canisters. 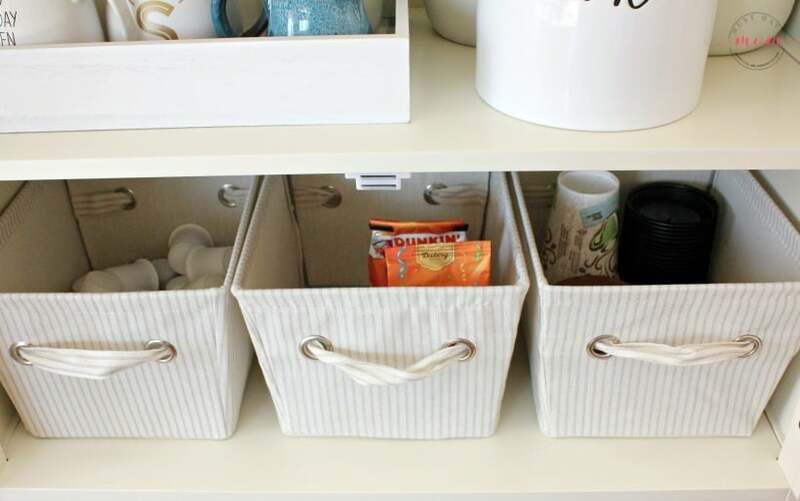 Store extra coffee, coffee pods, to-go cups and cookies in these organizing containers. For the holidays, you’ll inevitably want to pair your coffee with cookies and chocolates! 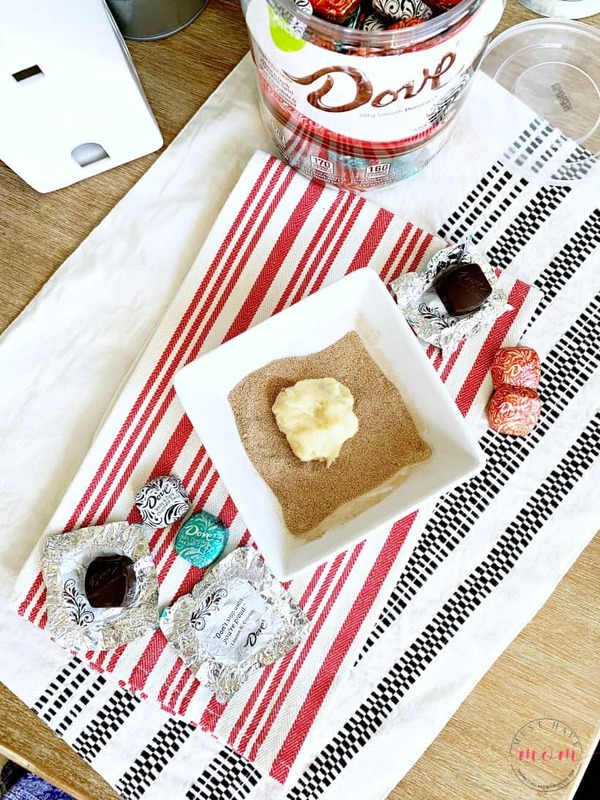 I paired mine with the DOVE® Pantry Jar from Sam’s Club and used those same delectable chocolates to craft an amazing recipe for snickerdoodle cookies stuffed with DOVE® chocolates. It’s an amazing pairing and makes for a sweet surprise hidden inside the cookie! 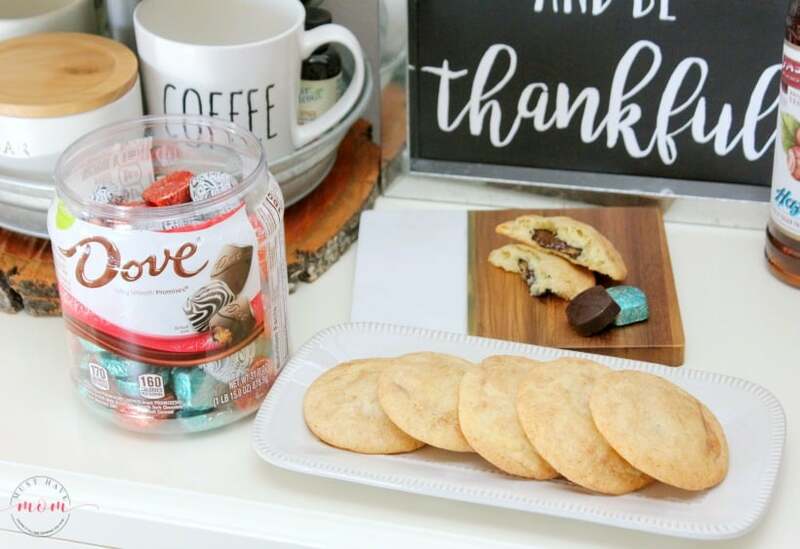 The DOVE® Pantry Jar is perfect for serving sweet treats at your coffee bar and having enough to bake with, too. It also makes a great hostess gift idea! 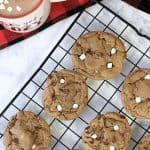 I love snickerdoodle cookies, and they are just what I want around the holidays. I wanted to kick mine up a notch, and hiding a DOVE® Chocolate inside them was just the way to go. I used DOVE® dark chocolate and sea salt caramel, but this would be just as delicious using either of the two other flavors, DOVE® dark chocolate and DOVE® white and dark chocolate swirl. They couldn’t get much easier to make either, so don’t be intimidated by how amazing they look and sound. They are quick and easy to whip up! Begin by preheating your oven to 375 degrees Fahrenheit. In a mixer, combine all ingredients and mix well. Then, roll a one-inch ball and flatten it in your hand. If your dough sticks to your hand at all, then chill it in the fridge or freezer until it is easier to work with. 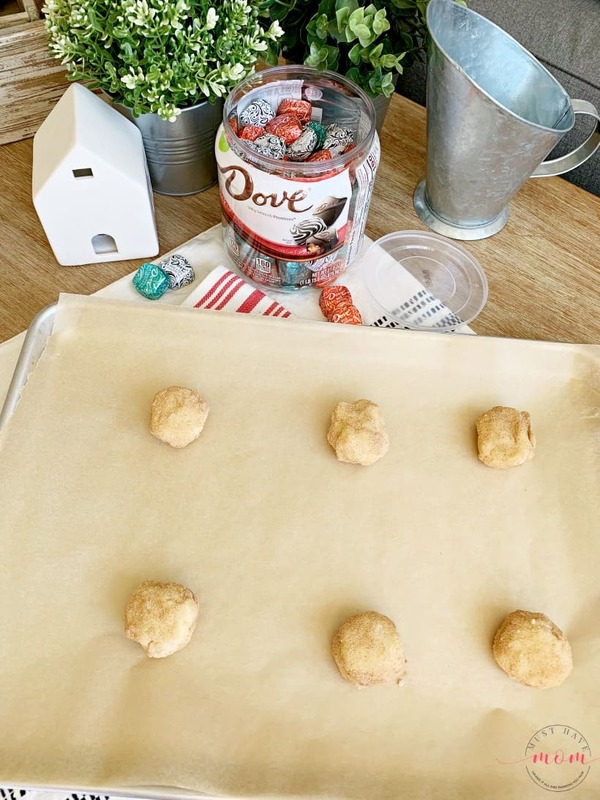 Place a DOVE® Chocolate in the center and roll the dough up around it. Make sure it covers the chocolate completely or it will melt and ooze out of the cookie. Then, gently roll the ball in your cinnamon sugar mixture and coat the outside in cinnamon sugar. 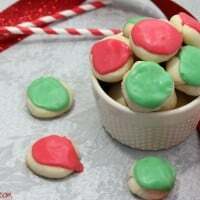 Place the dough ball on a parchment-lined cookie sheet and repeat until you have 6-8 dough balls on your cookie sheet. Bake for 13 minutes or until edges crisp and tops begin to crack. Allow to cool for a minute or two, and then remove and place on a cooling rack. These taste great warm from the oven or cooled, so feel free to serve them to your holiday guests either or both ways! 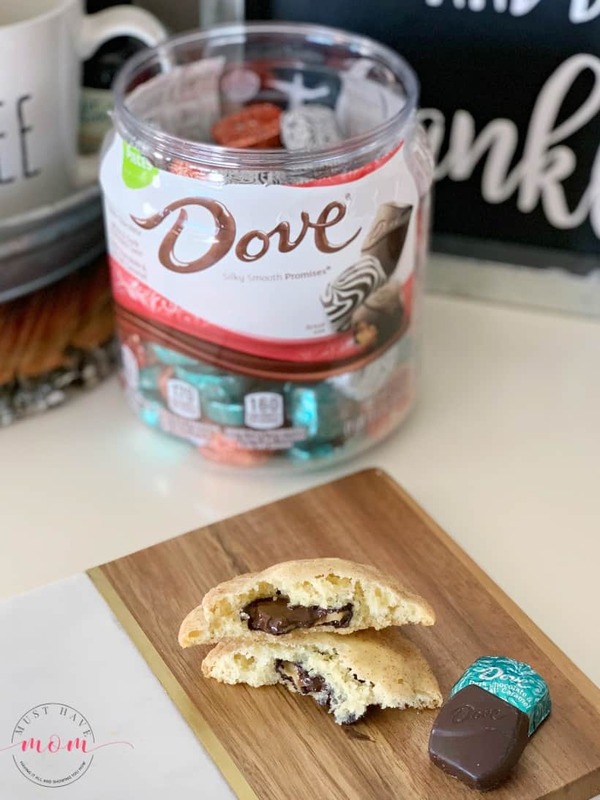 When you break them open, you’ll find delicious DOVE® dark chocolate and sea salt caramel nestled inside the cookie. 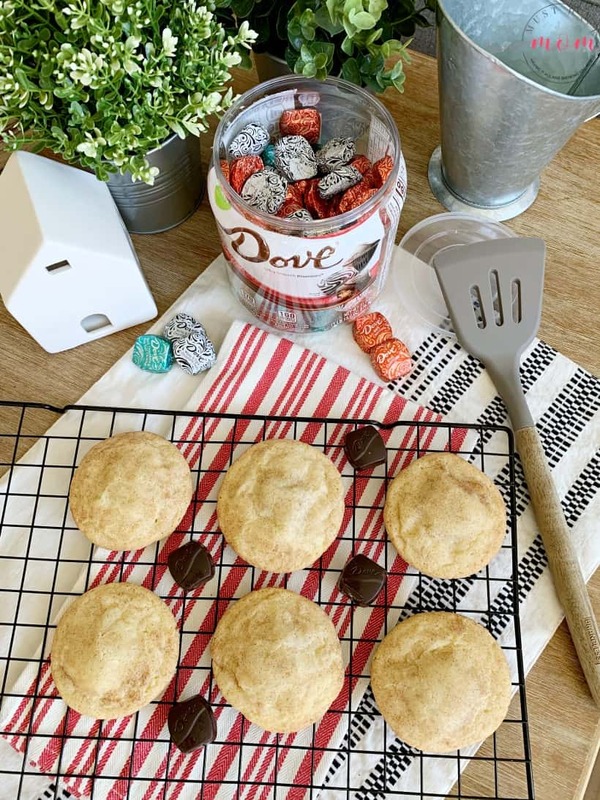 No matter your choice of DOVE® chocolate variety, you can be sure the edges of this snickerdoodle are perfectly crisp and the center is chewy and delightful. It’s such an amazing pairing that I doubt you’ll ever go back to eating a plain snickerdoodle cookie again! 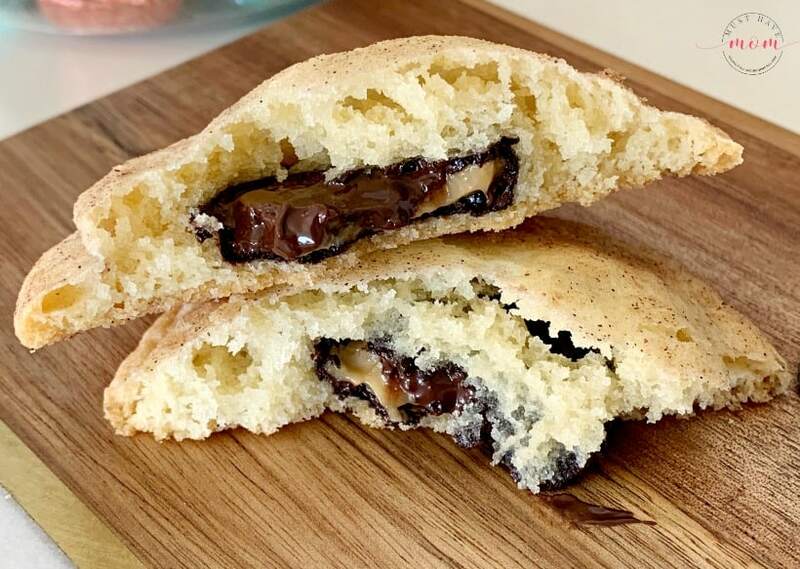 This traditional snickerdoodle cookie recipe is stuffed with DOVE® dark chocolate and caramel in the center. Bite into the crisp edges and chewy center to reveal the chocolate and caramel hidden inside. In a mixing bowl combine flour, baking soda, cream of tartar, butter, sugar, eggs, milk and vanilla. Beat together until well combined. In a separate small bowl mix together sugar and cinnamon for cinnamon sugar mixture. Form a one-inch ball and then flatten it on your hand. If your dough is sticking to your hand then chill the dough in the fridge or freezer until it is easier to handle without sticking. 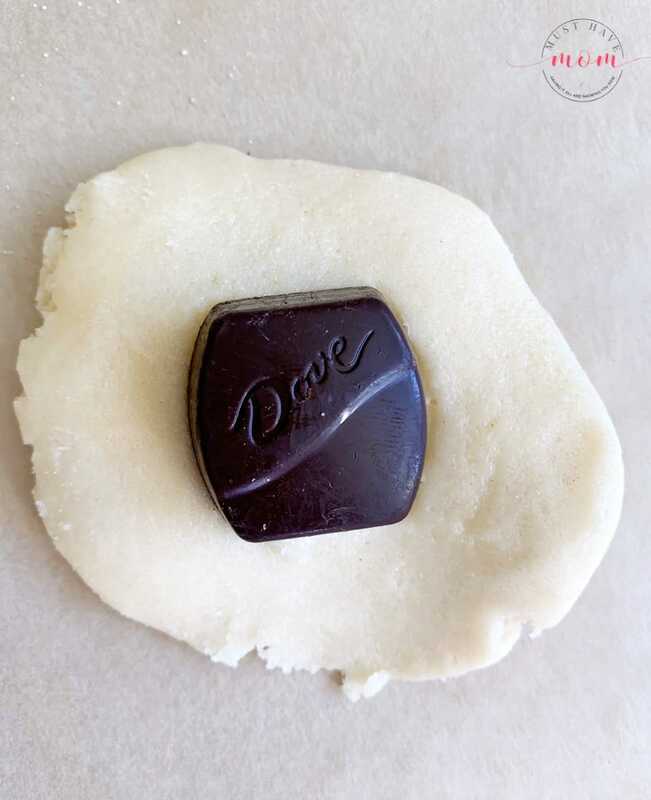 Then place a DOVE® dark chocolate with sea salt caramel in the center and wrap the dough around it, covering it completely. Make sure it is totally covered so the chocolate doesn't melt and ooze out. Roll the ball in cinnamon sugar mixture and place on a baking sheet lined with parchment paper. Bake for 13 minutes or until edges crisp and tops begin to crack. Remove from oven and allow to cool for 1-2 minutes before transferring to a cooling rack. These are great warm or cooled! I love stocking up on baking supplies and coffee must-haves at Sam’s Club during the holidays. 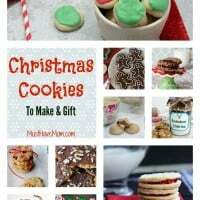 They have everything I need in bulk quantities that are perfect for hosting holiday guests and baking up a storm. Don’t forget to grab a DOVE® Pantry Jar on your next stock-up trip! Dove chocolates are my favorite. Never tried it with snickerdoodle cookies but I think I need to try this combo. It looks delicious. Oh you will flip! They are so good! Perfect recipe to serve this thanksgiving. thank you! You’re welcome! They are soooo yummy! This is so great! You can’t beat coffee and cookies. 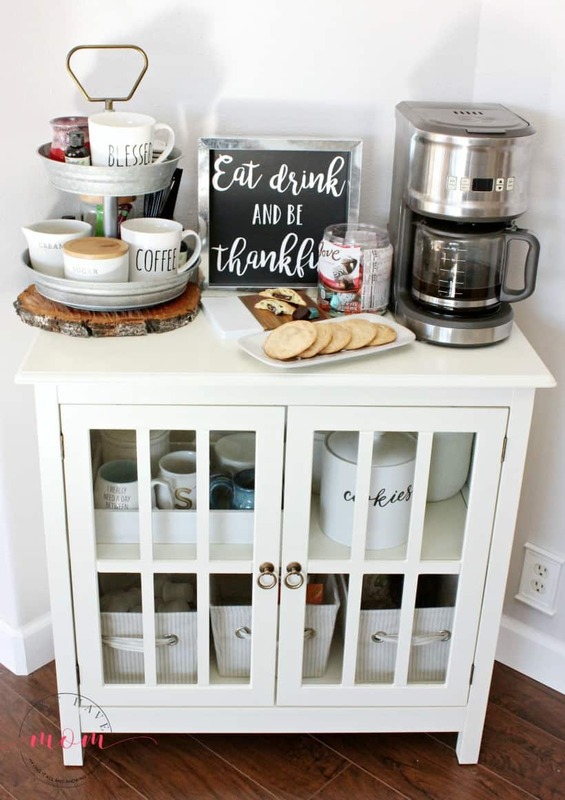 This is the perfect little coffee bar to have out when family is visiting for the holidays. These are some really delicious-looking cookies! 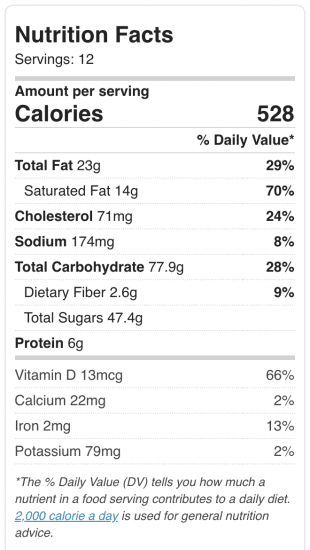 I like the adding of Dove chocolate to the cookie dough. My husband loves Dove chocolate! It is probably one of his favorite types of chocolates. I will have to make a cookie like this for him. I love how you decorated that coffee bar! It is so cute. Snickerdoodles are one of my favorite kinds of cookies!!! These look absolutely delicious and I love how you paired them with coffee. I’m ready to go lounge on the couch with a snack now. I am drooling over those cookies. 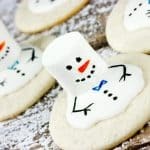 I totally have to make some for my cookie swap this weekend. Yum! Snacks like these always hit the spot this time of year. I love those snickerdoodle flavors and the chocolate and caramel must be delicious. Yum! Snickerdoodles are one of my favorite cookies. And now you went and added chocolate to it? These sound amazing! That coffee bar is a great place to gather when you have guests or on the weekends with family. 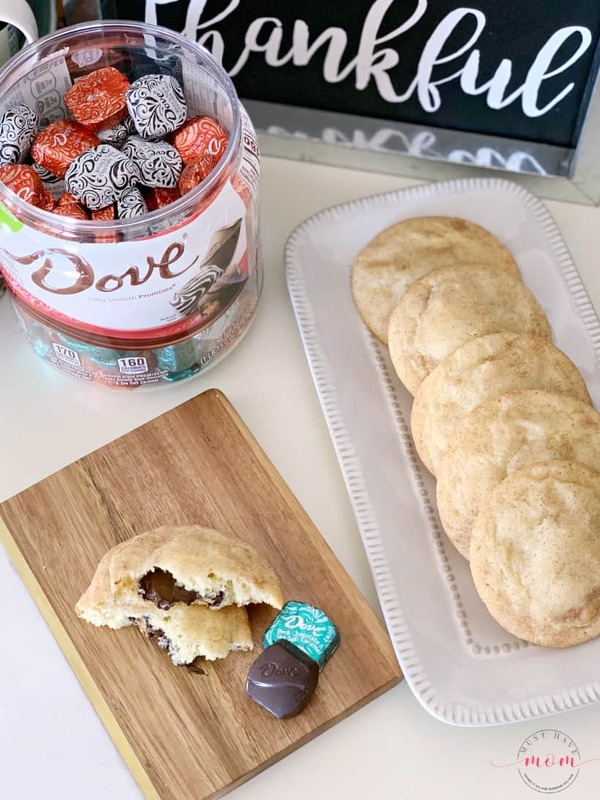 I never tried the Dove candy but those snickerdoodles look like a great way to enjoy them. I am a sucker for farmhouse decor. Your farmhouse coffee bar is super cute. And those cookies don’t look bad, either. Yum. What a cute setup perfect for cold weather! I LOVE homemade snickerdoodles. I bet adding a chocolate in the middle makes them SO delicious! I love your coffee bar, what a great idea. You are so much more creative than me. Those cookies are amazing looking too, what a great idea hiding a dove chocolate in it. Your cookies look amazing! I can’t wait to try your recipe! A coffee bar is a fantastic idea especially when you have guests. Those cookies look absolutely delicious. I love Dove chocolate. I thought I loved snickerdoodles before, but these sound ah-mazing. The DOVE Chocolates hidden within will make the season even sweeter! It’s a magical surprise inside! This is the most adorable coffee bar I’ve ever seen! I want to make one like this in our home. I am drooling over these cookies! They look so good. I can’t wait to try to make them. Oh I just love your coffee bar!!! I need to try these cookies. We LOVE Dove chocolates! Ohhh! LOVE this twist on a classic, they look insanely delicious! Now Sarah, I am quite surprised. How, as a mother of 4, can you leave the kids out when it comes to your ‘coffee bar’. Add an extra special element for them (or adult guests that don’t drink coffee) by including hot cocoa and mini marshmallows. I believe it can be found in individual packets, pods, and even canisters at most grocery stores. Just a suggestion…I hope you find it useful. Great suggestion! I have actually added a tea kettle to the coffee bar as well and the kids can make their cocoa with it as well. Thanks for sharing your tip!